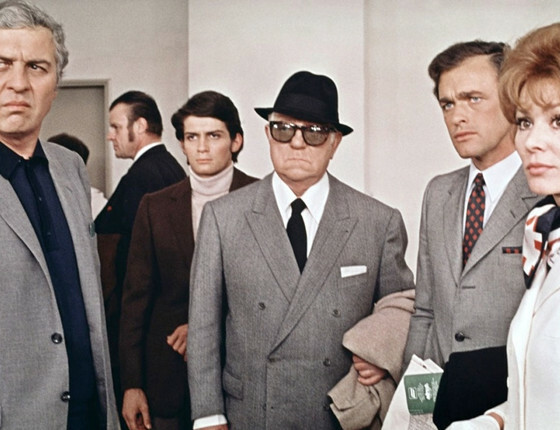 The Sicilian Clan is another film that features several powerhouse French actors of the time in Lino Ventura of Army of Shadows (1969), Alain Delon of Le Samurai (1967), and Jean Gabin of Pépé le Moko (1937), which is another film worthy of this list in itself. The Sicilian Clan also offers a hypnotic and mysterious score by the maestro, Ennio Morricone. Really, it’s difficult to go wrong from there, and it doesn’t. Delon is the professional criminal on the run, Jean Gabin is the aging mob boss who is ready to call it quits and enjoy his golden years, and Lino Ventura is the hardened cop who lives to track them down. The late 60’s cinematography by Henri Decaë is beautiful and the movie is just a lot of fun to watch. Some interesting trivia about this film is that it was shot in its entirety twice – once in French and once in English, but only Delon’s actual voice is used in the English version. Un Flic is translated as “A Cop”, and not to be confused with, “A Flick”, although that would be an unsurpringly cool title coming from director Jean-Pierre Melville. I feel like some explanation is in order with this pick from Melville. Melville is probably the undisputed kind of French crime film, and he has helmed such classics as Bob le Flambeur (1956), Le Doulos (1962) Le Samourai (1967), and Le Cercle Rouge (1970) in this same genre. Since these are all such obvious classics in this genre, and since it’s so easy to use any one these in this list, I have decided to go with Melville’s final film, which was slightly lesser known, but equally worthy and just as fitting. 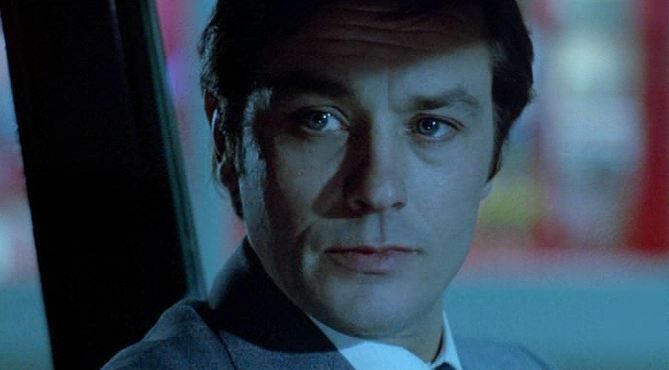 French star Alain Delon actually plays a cop in this film alongside the beautiful Catherine Deneuve (who was a glamorous French movie star and a little out of place in a Melville picture, but was a welcome addition) and interestingly enough, American actor Richard Crenna. It turns out that Crenna spoke French fluently, but his voice was dubbed over afterward anyway. This was the world’s last look at Melville’s particular melancholy criminal underworld, and it’s well worth that visit. There’s a certain look, atmosphere, and use of music that was heavy in 80’s films like The Hunger (1983), Thief (1981), Nine ½ Weeks (1986), Manhunter (1986), among many others that we saw a bit of an attempt at a revival of in Nicolas Winding Refn’s Drive (2011), and although this film is probably quite a bit lesser known, it has a lot of those qualities in it, and I think that it deserves revisiting. Diva is sort of a hidden gem of 1980’s French cinema. It’s fair to say that this is more of a thriller than a straight crime film, but crime plays a major part in the story with international crime and prostitution rings. It’s absolutely beautifully shot by Philippe Rousselot with first time director Jean-Jacques Beineix, and it’s loaded with music ranging from opera to 80’s techno-pop. It’s not all that easy to find out there, but if you can catch a screening of it, don’t miss it. This was a serious game changer for French cinema, and justifiably so. La Haine (Hate) is shot in very stark, gritty, in your face black and white, and took the 1995 Cannes Film Festival by storm. French cinema has never been the same since. Jody Foster was so impressed by it that she personally arranged distribution of it in the United States, but sadly (and probably to the shock of many in France) it’s still relatively unknown to many people in the States. To this day, many Americans think of Paris as simply a beautiful old city loaded with outdoor cafes and people wearing berets while drinking wine by the Seine, rather than a complex and volatile urban center full of a wide variety of ethnicities and religions and poor disaffected youth, just like pretty much every other major city in the world. It may be important to know that this isn’t a typical straight crime film, although crime does play heavily in it. As Roger Ebert said, La Haine is a Generation X film, but more mature and insightful than the American Gen X movies. In America, we cling to the notion that we have choice, and so if our Gen X heroes are alienated from society, it is their choice–it’s their “lifestyle.” In France, director Kassovitz says, it is society that has made the choice. The Beat that my Heart Skipped is essentially a modern French remake of Fingers (1978) directed by James Toback and starring a young Harvey Keitel. 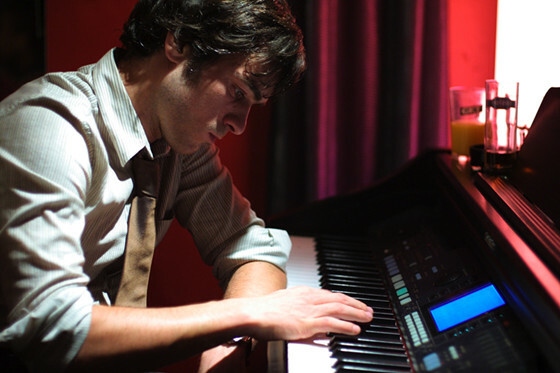 Thomas, the main character, is played by Romain Duris. If there were any one thing that I would like to achieve if I had to choose only one with this list and article, it would be to introduce the giant acting talent of the French actor, Romain Duris. Duris is like the French second coming of Montgomery Clift. He’s truly amazing, and this film is a true showcase of his talent. Thomas has a hair trigger violent temper, but is also a gifted concert pianist. He’s the son of a seedy gangster and loan shark who is in the family business of violently forcing squatters and illegal immigrants to pay up or get beaten up, and to rigging crooked real estate deals. Thomas is caught between two completely different worlds, and part of him belongs in each of them. The Beat that My Heart Skipped won the Golden Bear at the 2005 Berlin Film Festival. Mesrine is the only film(s) on this list that is actually based on a true story. Jacques Mesrine was one of the most infamous criminals in modern French history. He was responsible for murders, bank robberies, burglaries, and kidnappings throughout France, and other exploits, including trying to hunt down and kidnap a judge who had convicted him. Mesrine is sort of like a modern French equivalent of Dillinger in a lot of ways. Mesrine: Killer Instinct and Mesrine: Public Enemy Number One are basically two parts of one long film totaling two hundred and forty-six minutes. 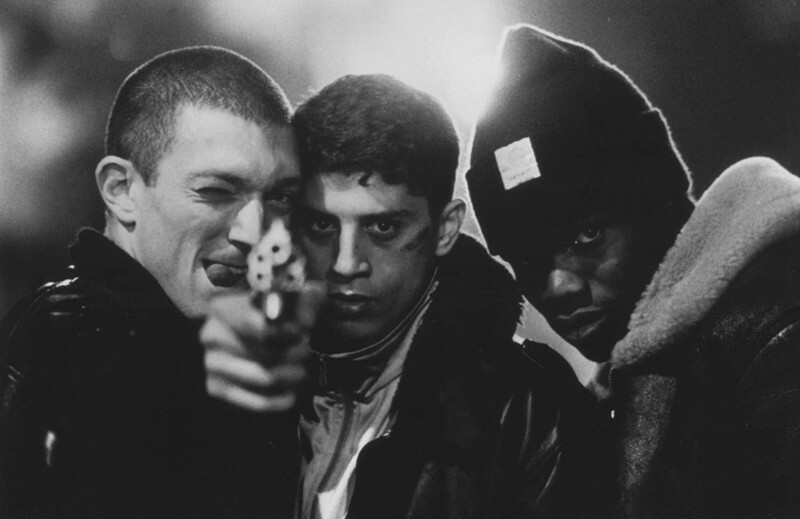 Vincent Cassel from La Haine (1995) plays the lead role in this early 1970’s French period piece. Part one covers Mesrine’s life from 1959 to 1972, and part two covers the rest until his death in 1979. Mesrine may not be two-part cinematic classic like the Godfather 1 & 2, but Vincent Cassel is a real star, and it’s impossible to take your eyes off of him. It would be impossible to think of modern French crime movies and not add the Mesrine films to the fold. A prophet is a French prison drama and gangster film starring an absolutely brilliant Tahar Rahim as Malik El Djebena, a young French-Algerian teenager who is sentenced to six years for assaulting a cop. Malik is quickly taken under the wings of the Corsican mob, which basically runs the prison from within along with the other Muslim prisoners, and is caught between those two factions. Malik learns to read and write as well as to murder and survive and he learns suddenly and with great brutality. He quickly learns the hard way how to work the system through force and through prison politics to make a ruthless and rapid ascent to power within. There is no glory in any of the violence, just raw and unforgiving reality. Author Bio: Cameron McHarg is a graduate of Art Center College of Design, he lives and works as an actor and director in Los Angeles. You can Follow @cammcharg and check out his website at www.cam-mcharg.com.